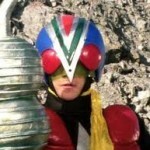 Tokusatsu is a unique genre that has many components used to create a cohesive formula for an action-packed adventure. One of these components that is often overlooked are the men and women behind the suits. Suit actors are an integral and irreplaceable part of most tokusatsu. Combined with the tasks of miming and stunts, all while in a stuffy suit, these often unmentioned stars bring to life a world of heroes and villains that would otherwise fall flat. The act of mime includes acting without using your voice, and requires the mime artist to be very exaggerated in their movements. In the situation of tokusatsu, often the suit actors will perform mime in scenes where the hero has dialogue. This means articulated gestures to match the actor’s voice-over lines that will be recorded and play during the suit actor’s performance. The more obvious task of a suit actor is rigorous stunt work. Seen in the currently airing Kamen Rider Gaim, Kazuraba Kouta’s actor Sano Gaku is able to do an array of stunts and tricks on his own. However, for more difficult tricks, and often for scenes involving vehicles, the suit actors are utilized. There was a time where the main actor did perform their own stunts as much as they safely could. Fujioka Hiroshi, better known as Kamen Rider #1 filled the roles of both actor and suit actor. It was a very dangerous venture at the time, especially during scenes involving the high-risk use of motorcycles, due to the little to non-existent line of sight in the suit. He has been quoted saying that he had to “rely on intuition” when performing these stunts with limited visibility. In today’s tokusatsu, such a feat is rarely heard of unless the actor in question is also a trained suit actor. With that said, this generation has brought in a plethora of talented suit actors fit for the job. In addition, while suits still provide only limited visibility, there is a marked improvement from earlier incarnations. Takaiwa Seiji, also known as “Mr. 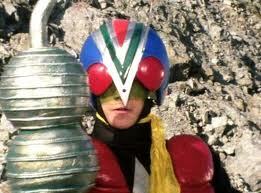 Kamen Rider”, has been working as a suit actor since 1988, when he portrayed Riderman in Kamen Rider BLACK RX. However it is in the recent Heisei era where he garnered his nickname: Takaiwa has portrayed every main Heisei Rider to date. Such a feat is impressive solely for its longevity, but every Rider he has portrayed has a distinctive style and personality, which Takaiwa has effortlessly displayed for seasons of Kamen Rider on end, showing his skill at making each character stand out on their own. Even further, though Kamen Rider is one of his main series, he has also done suit acting in several Super Sentai series, including his role as a Western tokusatsu fan-favorite, Dragon Ranger from Zyuranger. 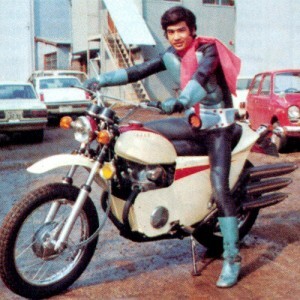 Eitoku (born Hisanori Oiwa) is a close second to Takaiwa Seiji’s accomplishments, having had a role as the majority of the secondary Kamen Riders of the Heisei era. He’s also had a lot of roles outside of suit acting, appearing in music videos and commercials. He even had a hand in doing motion capture for the PlayStation 2 title, Kamen Rider Climax Heroes. Not often mentioned but equally important are the presences of female suit actresses. While scarce, there are several women who brave the job and perform these dangerous stunts to create powerful visuals. One very recent example is Minami Tsukui, the actress who portrays Yoko Minato/Kamen Rider Marika in Kamen Rider Gaim. She even does both the acting in and outside of the suit! With advancements in technology, displays of stunts that are unfathomable even for a stunt actor can be emulated with the help of CGI. This could question the future of suit actors, when their roles could essentially be replaced with the skills of digital artists. However, I believe that suit acting will always have a place in tokusatsu, as it gives a very real look and feel to an overall fictitious environment. Time and experience have helped to develop a perfect balance of how best to utilize the suit actors, giving a scene the perfect amount of impact. Suit actors are the unseen giants in the field of tokusatsu, and it is imperative that we keep their efforts in mind when praising our favorite works, as many scenes would be impossible without them!